Nicoletta Giacomelli and her lovely daughter create real Dirndl Couture in a very traditionell way with inspirations from their beautiful home country Bella Italia. 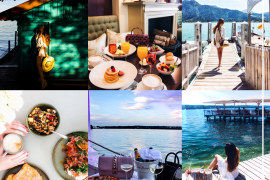 At their cute boutique in the heart of Rottach-Egern you will get the perfect service with a personal tailor and a endless choice of pretty cotton and silk dirndls in really every color you can imagine. PINK Tip: Get your dirndl blouse at Nicoletta Giacomelli as well as they are drip-dry! The Brun Macaron sticks to one of THE dirndl trends of the season and chose a taupe colored dress with PINK details. The Blond Macaron loves the classic combination of rosé and light blue which comes back every year! Shoes are a sale snap by Marc Jacobs. PINK Must Have: Typical for the Tegernseer dirndl is a cute peplum at the back. 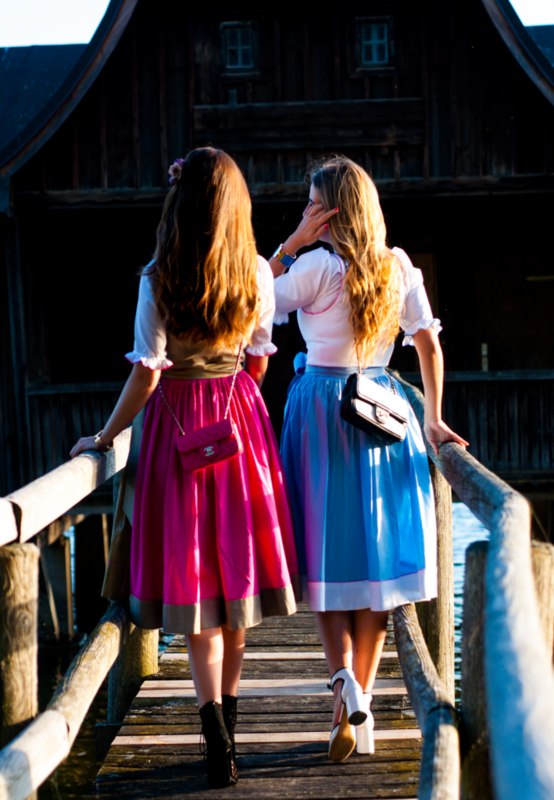 A PINK must have for all Bavarian girls for sure!